If you want to capitalize on the growing demand for laser hair removal, then the Lumenis LightSheer Duet laser machine is an excellent choice. 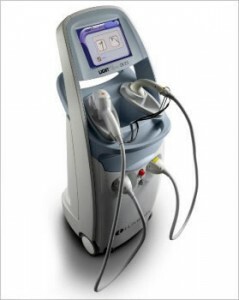 This is one of the fastest and most effective laser hair removal systems available today, and SunrayLaser.com has pre-owned Lumenis LightSheer Duet laser machines for sale at the lowest price. There are two available configurations of the Lumenis LightSheer Duet – the LightSheer ET and LightSheer HS. With a spot size of up to 22 mm by 35 mm and vacuum-assist technology, the Lumenis LightSheer Duet laser system can reduce treatment times by up to 75%. That means you can treat more patients each day and that those patients will be thrilled by the fast results. Furthermore, the Lumenis LightSheer Duet does not require any gel or anesthetics. By purchasing a used Lumenis LightSheer Duet laser machine from SunrayLaser.com you can instantly add a new revenue stream to your business, and we make it affordable by offering a variety of flexible financing options. Contact us right now for the lowest price quote on a quality pre-owned Lumenis LightSheer Duet system. With a range of customizable treatment presets and an intuitive touchscreen control panel, the Lumenis LightSheer Duet is easy to operate. And SunrayLaser.com can make it easy to own with a low price on a quality pre-owned machine. Fill out the form below for a no obligation price quote on a Lumenis LightSheer Duet system.